How can you tell if a material is magnetic? 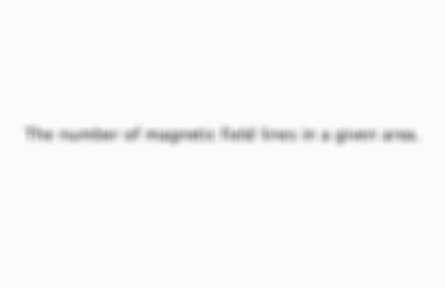 Which metals are magnetic? If it can repel another magnet. Iron, steel, cobalt and nickel are all magnetic. 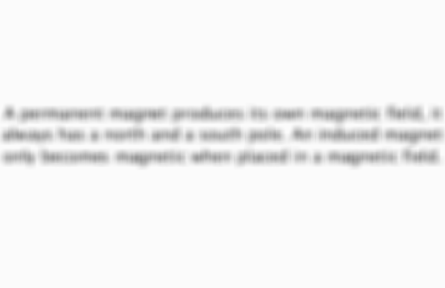 The area around a magnet in which a magnetic force is acting, it comes out of the south and goes in the north pole. What is a permanent magnet? An induced magnet? A permanent magnet produces its own magnetic field, it always has a north and a south pole. An induced magnet only becomes magnetic when placed in a magnetic field. The number of magnetic field lines in a given area. How do you calculate the force on a wire? What is the left hand rule? thuMb: Movement, First finger: Field, seCond finger: Current. What is induced potential? How does it happen? The potential difference produced by a wire as it is moved across a magnetic field, this happens as it is breakig magnetic field lines which pushes electrons along the wire. If a wire is part of a complete circuit, the potential difference will cause a current in the circuit. How does a moving-coil loudspeaker work? 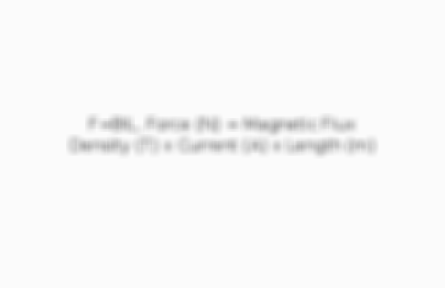 How do you increase the magnetic fireld of a solenoid? Using a larger current, using more turns of wire, putting the turns closer together and putting a soft iron core through the centre. How does a car motor battery work? Igniton switch turned > Iron core becomes magnetised > A current flows through solenoid > Motor is connected to the battery > Solenoid moves to connect to the contacts > Engine is fully connected.